I recently saw a video by Ina Garten on making homemade vanilla extract. She showed a jar with the most beautiful brown liquid in it and claimed she has kept that bottle of vanilla going for thirty years. THIRTY years!! That’s almost as long as I’ve been married! I like things that last. Plus, has anybody else noticed that vanilla is suddenly even more outrageously priced than ever?? Disclaimer: There are several product/store mentions and suggestions with at least one direct link. None of these are sponsored and I receive no kickbacks for anything mentioned. It’s just me, sharing my opinion and research. My favorite bottle of vanilla extract at Costco is currently $34.99. 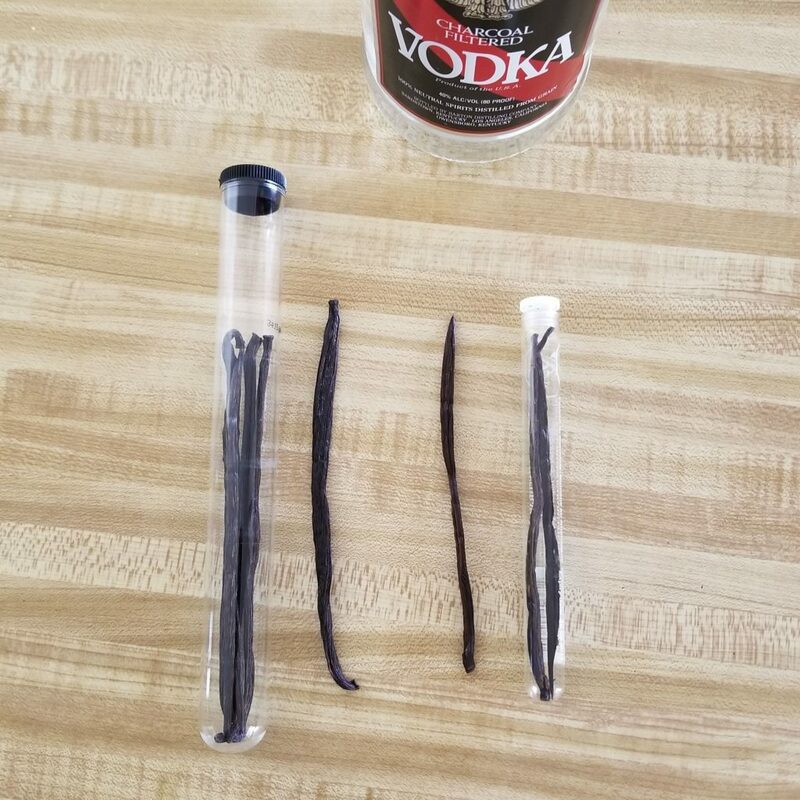 I don’t drink alcohol, so I had no idea how much vodka would cost, but I figured there is no way the ingredients to make vanilla extract (vanilla beans and said vodka) – and factoring in how long it lasts – can be less cost-effective than that tiny bottle. I did a little research at Winco and Costco. I did not bargain-hunt or shop at my local grocer. I am a working woman and my time is just as important as costs, but I didn’t want to just buy the first, expensive thing either. I figured between Winco and Costco, I’d have a pretty good idea of the range of costs and quality of products at most of my local grocery resources. I started at Costco. They had a large bottle of vodka for $12.99. I have a 1.5-pint mason jar (24 oz. 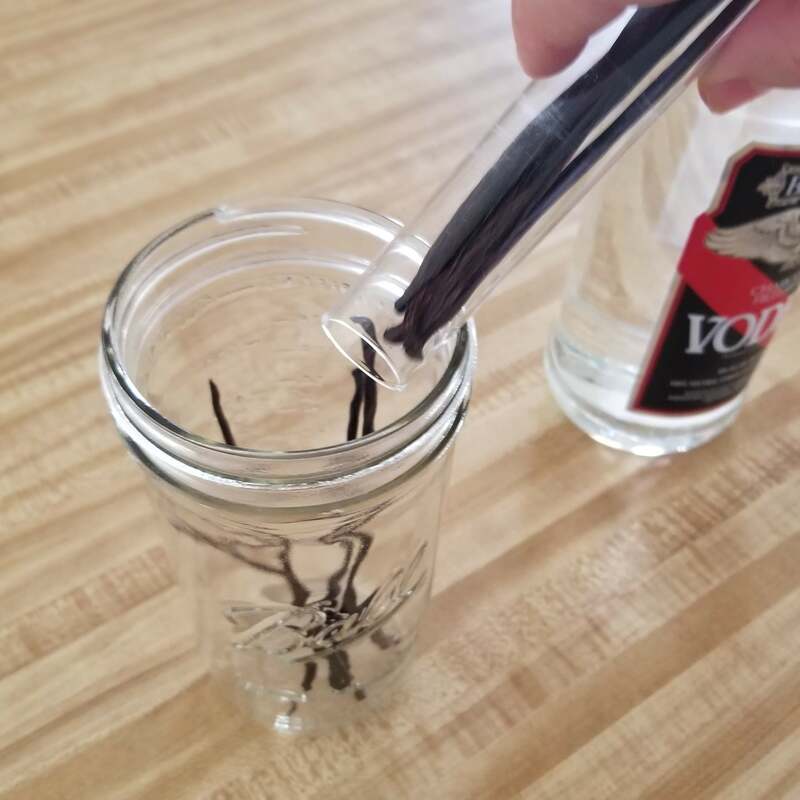 )to put the vanilla in, so I figured with that bottle of vodka, I could make three or four jars. Cool concept if I had thought ahead about Christmas presents (it’s best to let the vanilla extract sit about six months before use), but I hadn’t. 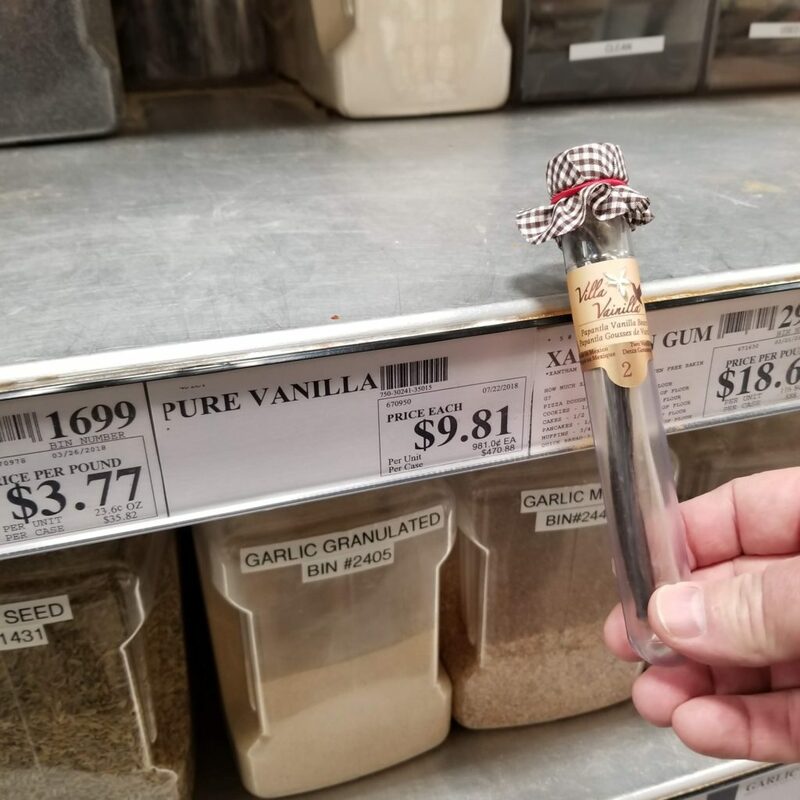 The vanilla beans at Costco are $15.99 for five beans. That’s about $3.20 per bean. Then I headed next door to Winco. The vanilla beans there were $9.81 for two. Yes, TWO. Which made their beans about $4.91 per bean. 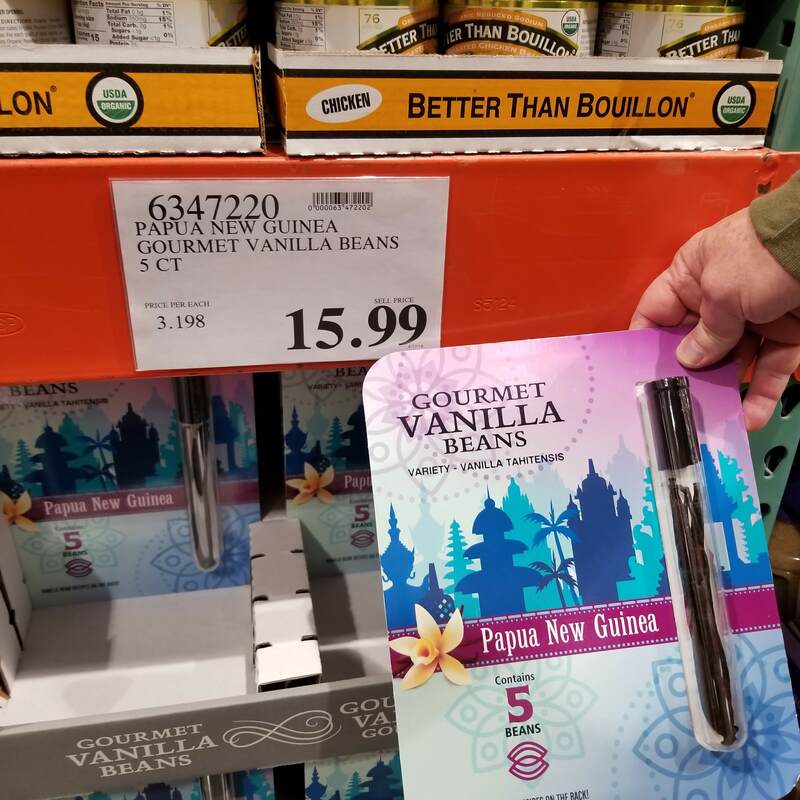 So, at this point, Costco definitely won the vanilla bean war. 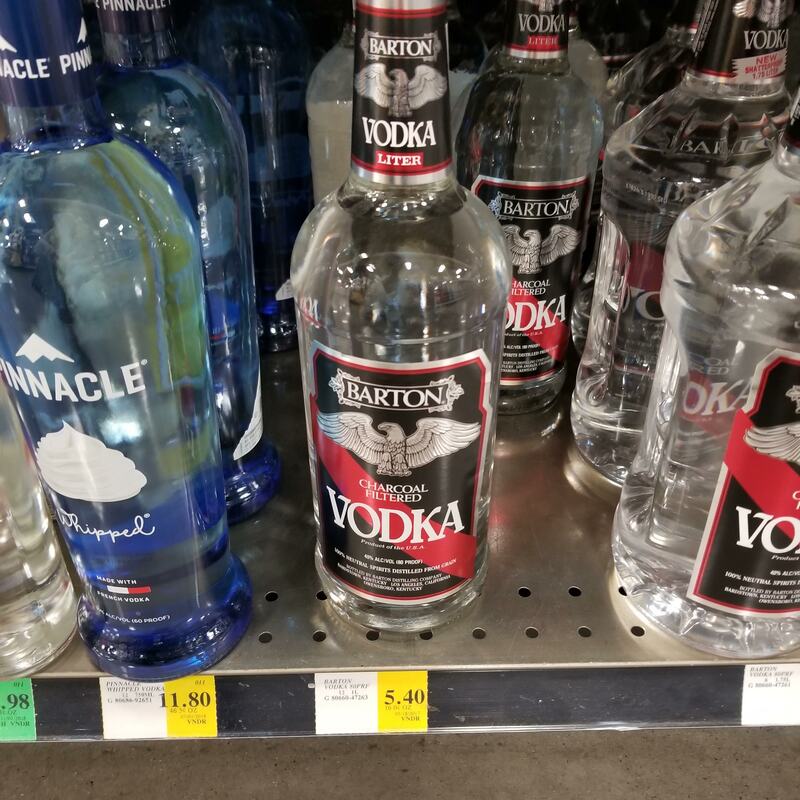 As for the vodka, I found a smaller – but still large enough – bottle for $5.40. My research showed that as long as it’s at least 80 proof, any vodka will do. 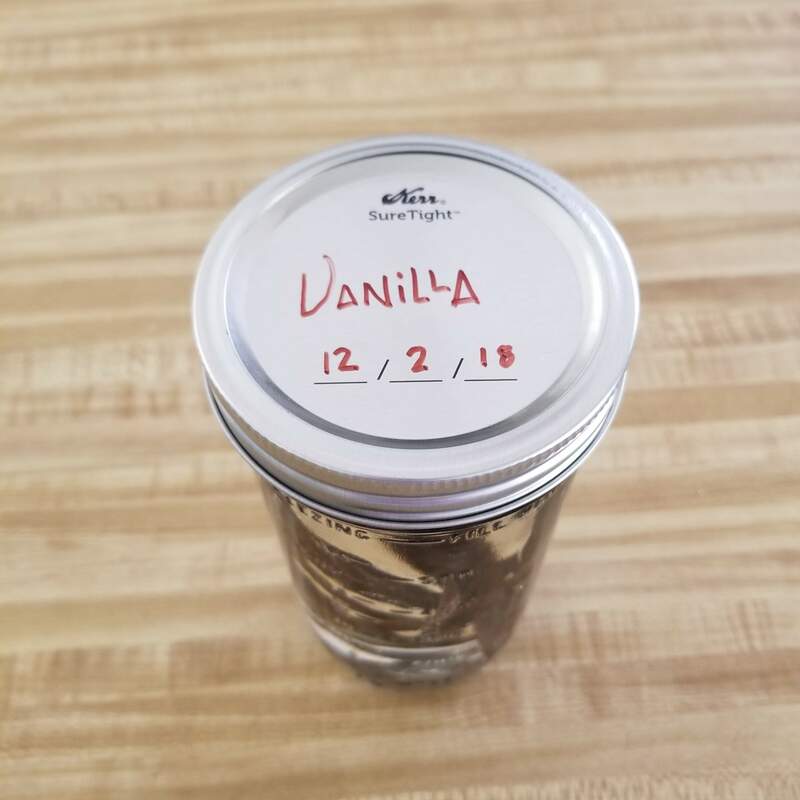 Technically you want between 12 and 24 vanilla beans per jar of extract. I had three beans at home already (the Winco vials use to have three, but now only have two), so I purchased two vials from Costco. That gave me a total of 13 beans. I plan to add a few more in a couple of weeks – after my budget recovers from the initial set up. Make sure the jar is tall enough to handle the beans without bending or breaking them. You also want enough room between the lid and the beans so that the beans can be completely covered in the vodka. Add enough vodka to cover the vanilla beans. Cover tightly, label and store in your pantry. 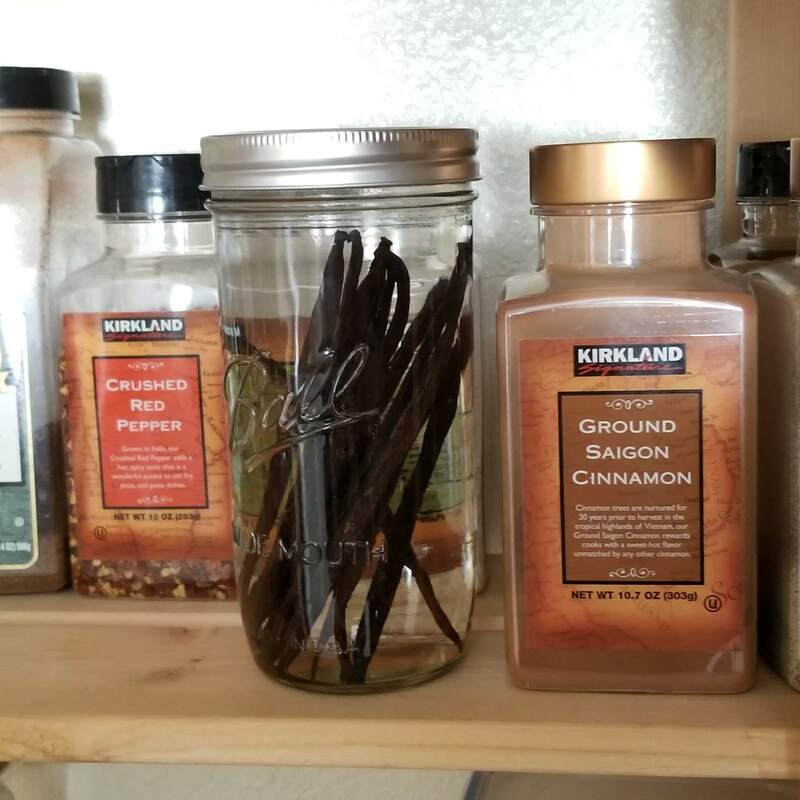 If I factor in the cost of the jar, it cost just over $40 to get my vanilla extract start going. I have a bit of vodka left over to top off the jar as I use it. That gives me 24 oz. of vanilla extract for $40. My favorite extract at Costco that currently costs $34.99 has 16 oz. in it. I’ve already saved some money! And everything I’ve read said the flavor is incredible. I’ll keep you posted on that. Better yet, try it yourself and let me know how it goes. 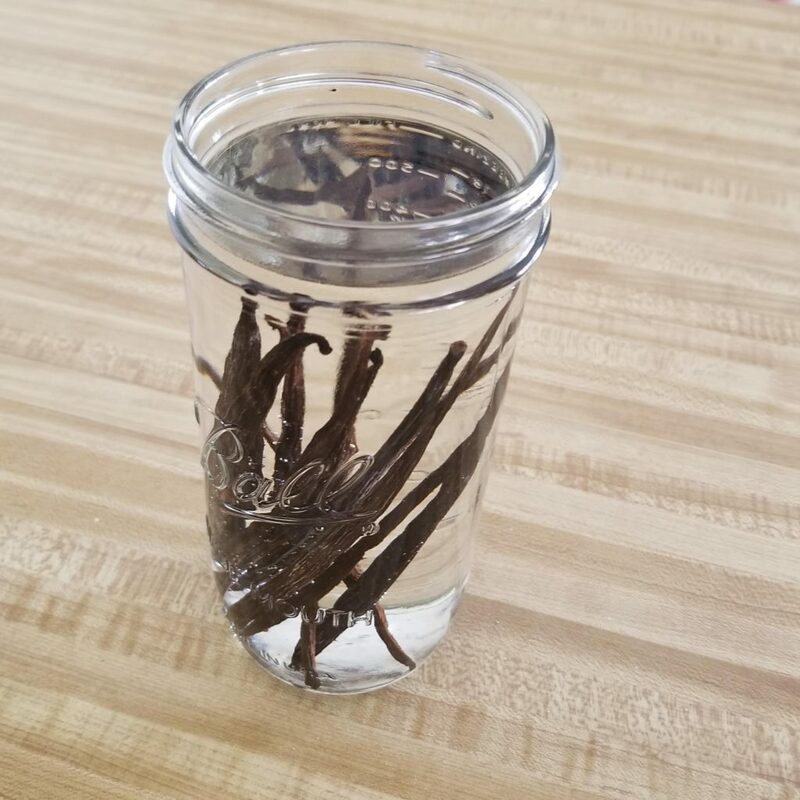 While you technically can use homemade vanilla extract after aging for as little as one month, every source I read said to wait at least six months for full flavor. After that, you can not only use the extract itself, but you can snip off the end of the beans and squeeze out the seeds, as needed. 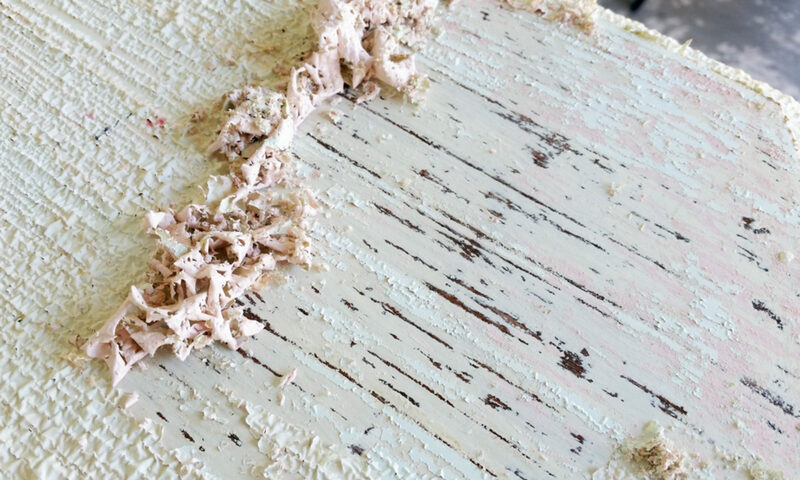 I’m super excited for that first batch of Homemade Vanilla Bean Ice Cream this summer! 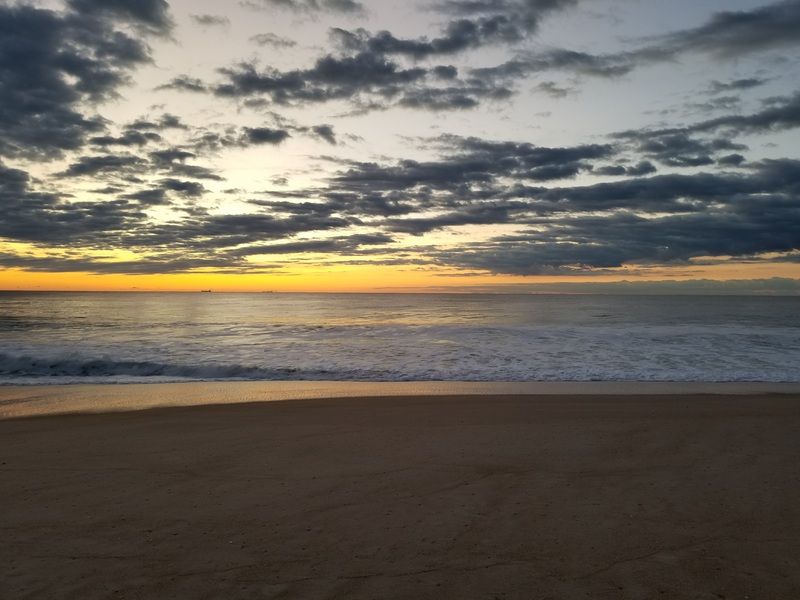 Reminder: There are several product/store mentions and suggestions with at least one direct link. None of these are sponsored and I receive no kickbacks for anything mentioned. It’s just me, sharing my opinion and research.